Reviews of the Nikon Coolpix S33 from around the web. 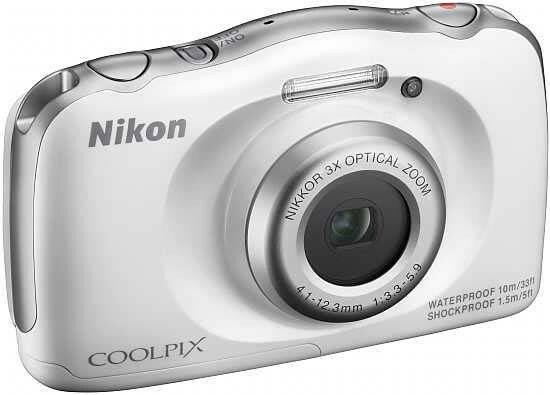 The Nikon Coolpix S33 replaces the S32 as Nikon’s entry-level, easy to use waterproof camera. It boasts very similar specs to its predecessor, with a 13.2MP sensor and 3x optical zoom lens. Toughness credentials also remain the same, as S33 is still waterproof to 10 metres (33ft) and shockproof to 1.5 metres (5ft).